The Welshpool & Llanfair Railway's 1946 built Andrew Barclay 0-4-0T 1 Dougal is certainly an unusual locomotive. 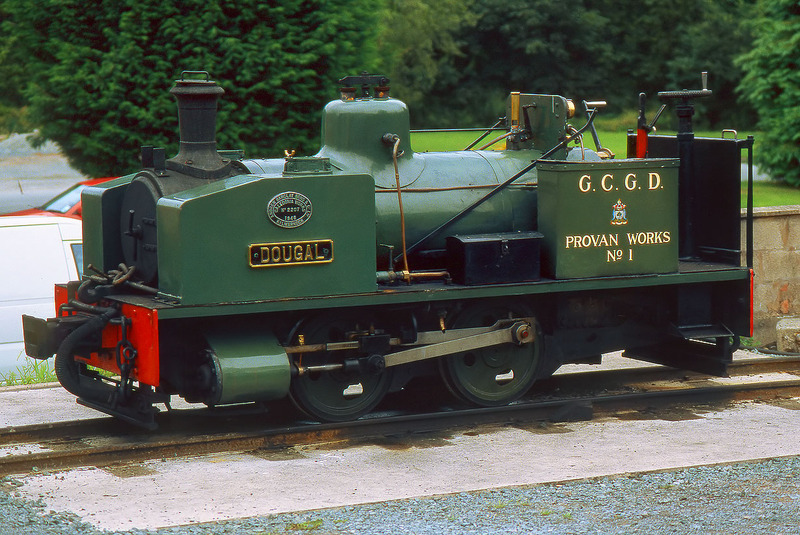 Especially built to negotiate the restricted height tunnels in the Glasgow City Gas Department's Provan Gas Works, this diminutive locomotive is dwarfed even by other narrow gauge stock. Note also the short wheelbase (to traverse tight radius curves) and consequent lengthy front and rear overhang. It is pictured here at Llanfair Caereinion on 4 August 2002.